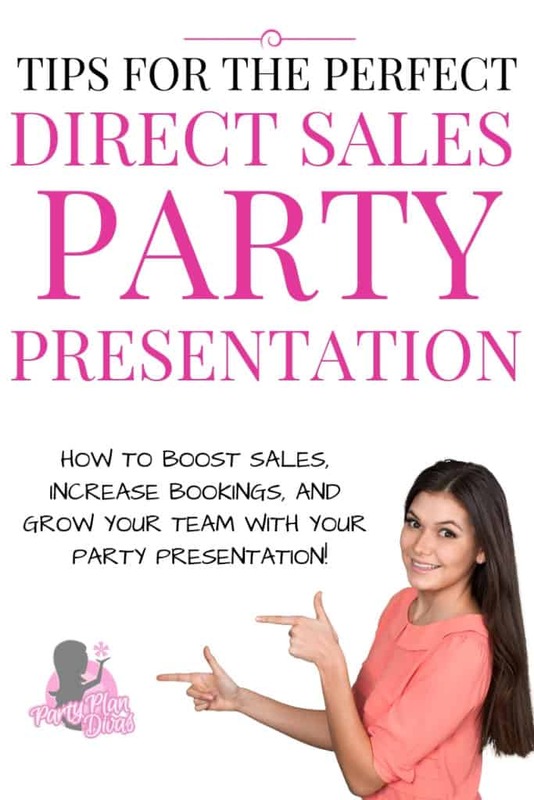 Learn how to boost sales, increase bookings, and grow your team with these Direct Sales Party Presentation Tips! When your Direct Sales Party Presentation is fantastic, everything else about your business will follow suit. When your guests have a great time at the party, they are going to spend more, book more parties, because they want to enjoy you again, and they may see just how easy this business is to do! Your #1 goal this week is to get comfortable in your fun-filled party presentation! Even if you have been doing parties for years, this is a good time to critique your presentation, or even change it up. Most party plan companies provide a training video or audio of a live party presentation. If not, consider “shadowing” another consultant in your area. This is where you simply go with her, help her pack and unpack, but mainly just watch her presentation. Taking notes is also recommended. No matter how much reading you do, the best training truly comes from going to a live presentation. As stated before, no matter what your product is, you want a party that is upbeat and fun. Finding the right balance of humor and seriousness can be trick, that’s where your friends and family will come in. Starting your party with a great “I Story” will help set the tone for a fun party while giving your guests a chance to get to know you. Check out Tips on Developing Your I Story here. Doing a presentation for a few close friends and then getting their honest feedback can be a great way to tweak your presentation. The more fun a party is, the more your guests will want to book a party themselves. People love to learn! 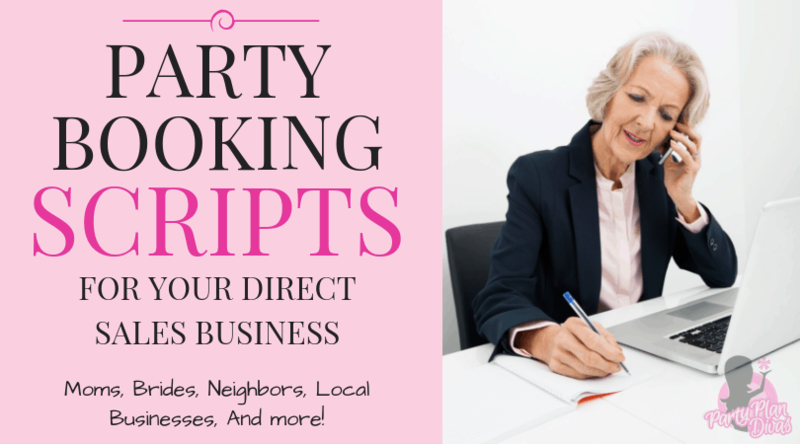 When a guest has an “ah-ha” moment or gets a new idea (recipe, technique, etc) at your party, she is going to tell her friends – which turns into referrals for you! 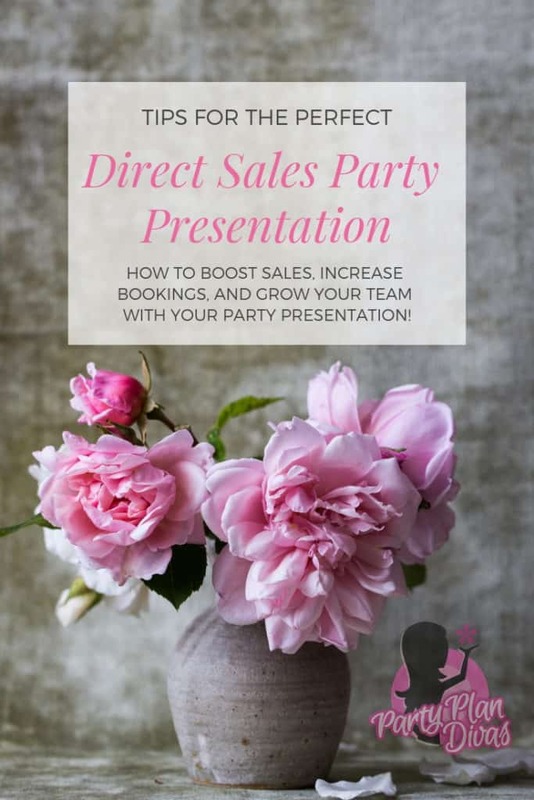 Make sure your direct sales party presentation includes educational tips that your party guests can share with their friends! While we only have so much control over the spaces in which we throw our parties, make sure you do your part to make sure your guests are as comfortable as possible. Providing Lap Boards is a great help for your guests as well. You can check out our How To Make Lapboards Training or purchase lapboards here. Also make sure your space is comfortable temperature wise. It is hard for your guests to focus on what you are saying if they are too hot or too cold. You are a business owner, so regardless of your product, you must keep your presentation classy and comfortable for everyone. When you are talking to a room full of people you do not know, you must be very careful not to offend anyone. You need to make sure you do not say anything that is gender specific, class specific, or social status specific. Everything needs to be able to include anyone- no matter what walk of like he or she comes from. An average adult’s attention span is about 30 minutes. This doesn’t mean you need to cram your entire presentation into 30 minutes – but it does mean you need to take a break if your presentation is longer than that. 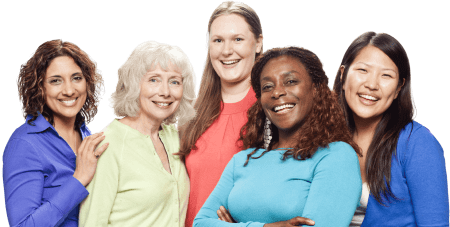 Breaks are great to get a chance to talk to your guests, get part of your presentation packed up and also when you reconvene, it is a great time to play fun and beneficial Home Party Games. You can also play Time Consuming Games to help keep your guests entertained while waiting on late guests or packing up your demo table. First and foremost if you are showing a consumable product (such as skin care lotions or food ingredients) make sure that your products are clean and full at all times. Half empty bottles look used and ragged. You want everything looking brand new. Make sure your table is not cluttered – you want it to look and BE organized. Theme tables are fun but do not go overboard. Do not overfill your table – especially if you are going for a theme. If you are adding a bunch of “fluff”, consider slimming down the products on your table. You don’t want it to be overwhelming. Do NOT cuss or use slang. I can’t stress this enough! Even when your attendees are speaking that way, you much uphold your image as a Professional Party Plan Diva. You are respected for that – bad impressions can hurt your business significantly. Don’t prejudge – never assume anything. Many hearts have been broken by assumption. Always keep your cool, always stay in control, and always project your Party Plan Diva. If you do not lower your standards, you will find yourself pleasantly surprised more often than not! If you are in the Adult Industry NEVER use personal stories or testimonials for your products. Your guests do not want to picture you with these items. And remember, you are selling them the experience of using it themselves! Your Party Presentation is key to a successful party plan business. Take the time to make it GREAT!